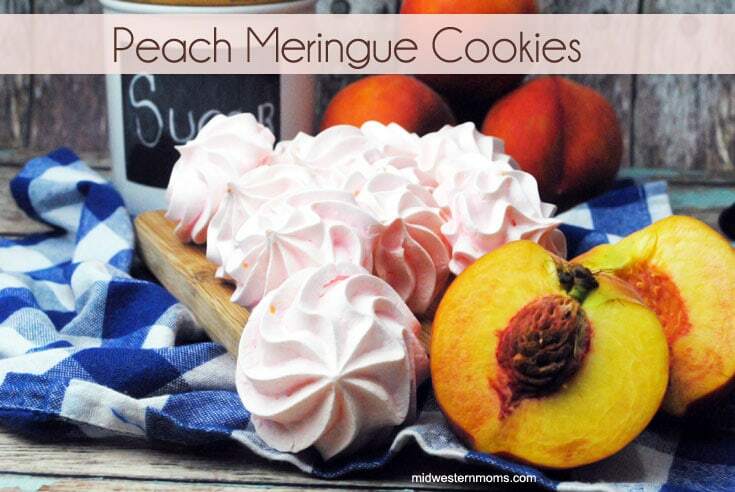 Delicious peach meringue cookies!! Be careful, you may not be able to stop at one cookie! 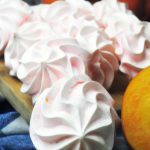 Using a fresh peach instead of an extract, like my blueberry and strawberry meringue recipes, makes for an irresistible flavor. Depending on the size of the cookie you pipe onto your baking sheet will determine how many cookies you get out of this batch. We got about 48 cookies. 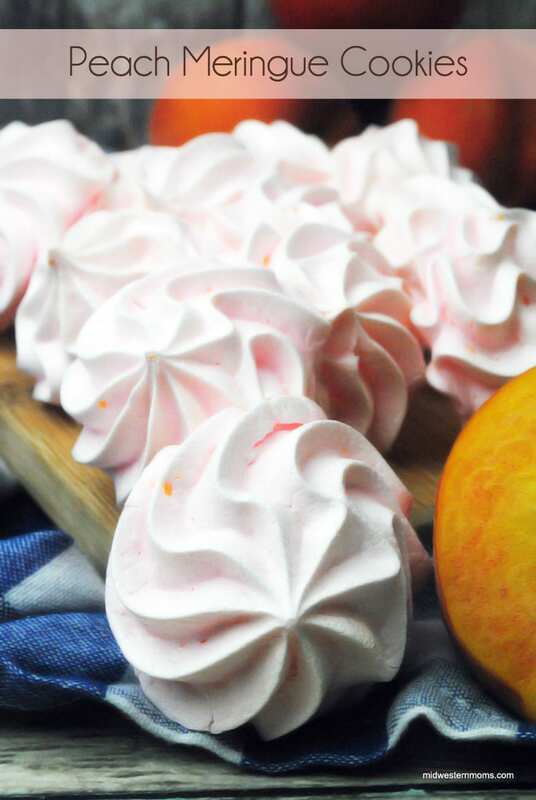 Delicious Peach Meringue Cookies. Careful, you may not be able to stop at one cookie! 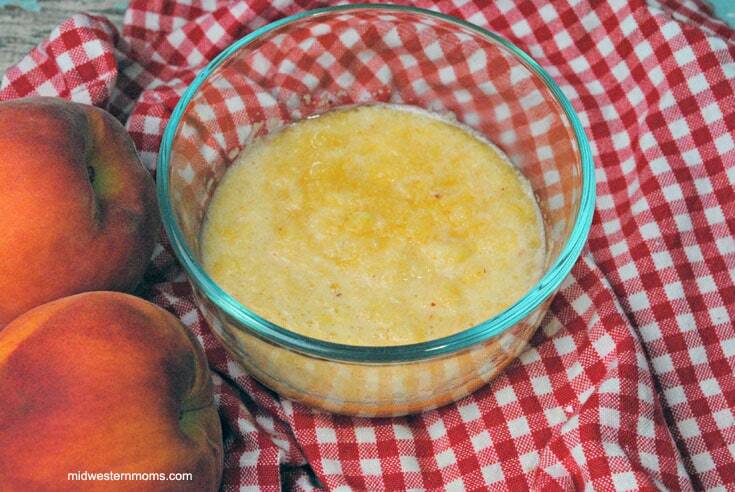 In a blender or food processor, blend the peach wedges until the puree looks like applesauce. Set aside. Alternating between the sugar and powdered sugar, add in 1 Tablespoon at a time until stiff peaks form. Add in the peach puree, 1 Tablespoon at a time, and the pink food coloring. Continue to mix it until stiff again. 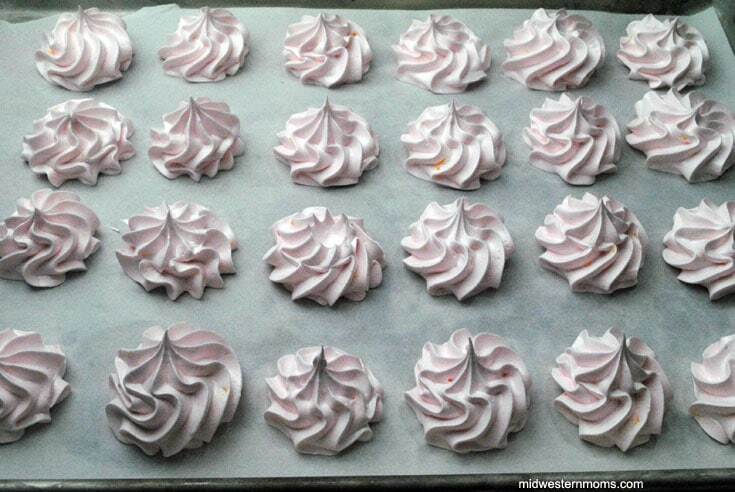 Using a pastry bag with a star tip, pipe on the meringues onto a baking sheet lined with parchment paper. Hi! I love the simplicity of your recipe. I was wondering though, could I use the peaches (and juice?) from the Dole snack cups? And if so, how many of the cups could I use? For example, I think there 4-4 oz cups in a package. I’m trying to find simple cookie type recipes that would allow me to puree the peaches from those cups so that I can use them up… thanks so much! I am unsure if using fruit cups would work or not. I don’t know how many fruit cups would equal a peach. I tried Googling but couldn’t find a great answer to your question. I am sorry.